«Brother Bajrangi» is an Indian film about a noble man named Pawan Chaturvedi who helps a Pakistani girl Munni (Shahida) to return home. Pawan is known as a kind, sensitive and deeply pious man. One day he meets a small numb girl and understands that he cannot leave her all alone in a big city. His objective is not an easy one, as the girl is numb, illiterate and so she cannot tell him where she is from or even her own name. The word «brother» in the name of the film is not accidental. Pawan is not a brother to anyone in particular, but to all people in India and Pakistan. He addresses them «brother» and «sister» thereby underlining that he is close to them and takes everyone as equal to him no matter the caste, nationality, religion or occupation. Main hero’s distinguishing characteristics are honesty and decency. He will not lie under any circumstances: when he passes his exam in school for the 10th time, or when he is being interrogated about border crossing. Perhaps this is the reason why he always has luck and achieves his goals. People he meets along the way see what an honest and decent man he is, and they too improve and start doing good things. A Pakistani girl named Shahida is another main character of the film. 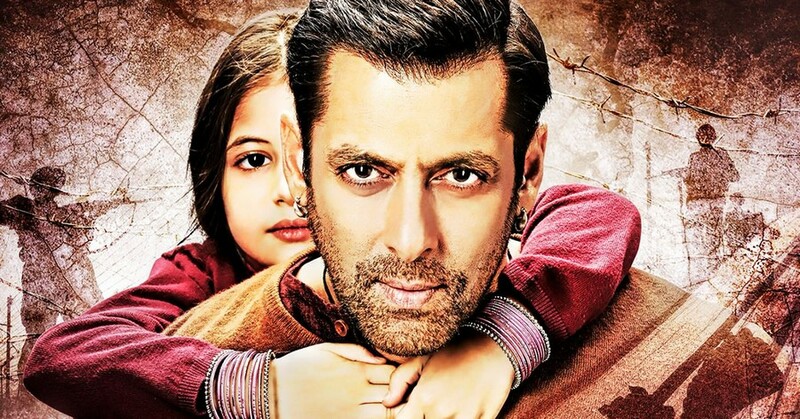 Pawan gives her the name «Munni». She is 6 years old and she cannot speak from birth. It is very interesting how the small actress achieved to play this role without saying one word throughout the whole film. Nevertheless she managed to convey very precisely the personality, emotions and feelings of her hero. Shahida is very kind, she loves animals, and she is ready to take care of them and to help the weak. She is also ingenuous, like all children, sincerely happy or sad, prays whole-heartedly and believes in God’s support. The attitude to different nationalities and religions demonstrated in the film is remarkable. When Pawan finds out that the girls is not Buddhist, but Muslim, he is confused, however his beloved one Rasika, a kind and clever girl, tells him that when it comes to helping your neighbor «all this caste and religion division is a complete nonsense!». The events take place in two different countries – India and Pakistan that are in confrontation with each other. Despite this fact, the film producers don’t create an impression that some people are better than others. On the contrary, it is emphasized that there are good, kind and sensitive people everywhere regardless of borders and territories. At the same time an important point is once again proven, illustrated in another Indian film «My name is Khan»: «People are divided into two categories: the good ones and the bad ones. Good people go good things, and bad people do bad things». The emphasis in the film is placed on family relations: older family members are wise and experienced, younger ones respect them and listen to their opinion and advice. The mother and the daughter have a very tight connection; the audience shares the main hero’s emotions, worries about her and pities her throughout the whole film. At the moment of girl’s reuniting with her family the audience is glad and relieved, knowing that the girl has found true happiness. Within the story plot, main heroes more than once meet people of different occupation who get them in unpleasant situations: both border guards and policemen beat Pawan up, accuse him of espionage and refuse to believe him; journalists tell him directly that they need nothing but negative news; no TV channel wants to show a story that will bring them no profit. But the film’s creators manage to turn this into advantage as well. The negative attitude towards people of certain occupation is replaced by understanding that call of duty and official responsibilities sometimes are in conflict with the inner law. There are moments when middle management (the commander of frontier detachment, the head of the police office) do as their heart tells them to and take on the responsibility to let go the «law violators» even at risk of losing their jobs. «I have worked all my life for the sake of honour and peace of this country, but if that man will spend his life in prison – that will be against the honour of our country. And I will never let that happen» – says the chief of the police office, letting Pawan go. There are no scenes of alcohol or drug abuse, vulgarity or erotica. There are a few scenes of violence – the fight when Pawan defends Munni from pimps, episodes of his beating up by border guards and policemen. However these scenes lack cruelty, they are necessary to show how difficult the main hero’s way to his goal is, what severe obstacles he has to overcome, and how he succeeds with honour and dignity. There can be miracles. Despite everything a small girl could reunite with her family and although she was numb from birth, she started speaking at the moment of saying goodbye to Pawan. One poor person achieved to overcome the system. There are a few scenes with fights that are pertinent and lack unnecessary violence. When people unite to do good things, they can overcome anything – distance, borders and prejudice. Interstellar: Do you really need to save the planet when you can find the new one?